This week is a vacation week at my workplace, due to the school holiday period. Almost half of my colleagues are overseas, and I initially wanted to go home as well, just to destress and to get my mind of stuff. But due to some really horrible personal planning, as well as some work arrangement, I only ended up with the middle week free with no long weekend stretch to travel all the way back. 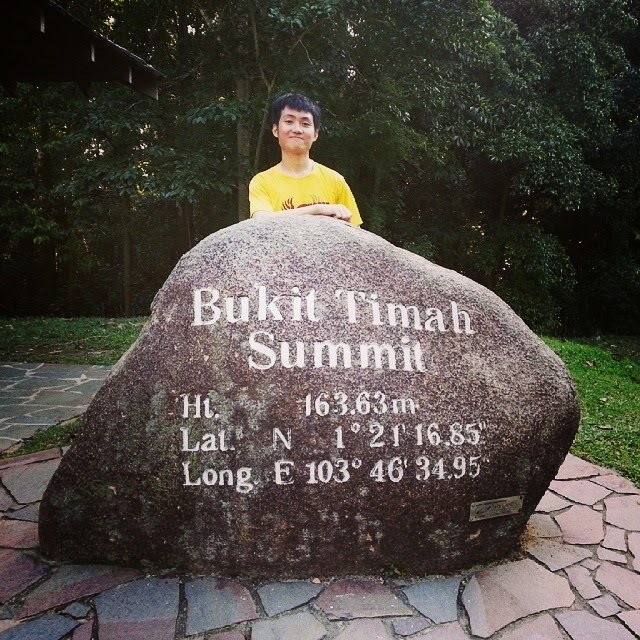 Still, a little holiday is better than none, so I took two days off and did what I have always wanted to do since coming to Singapore: Climb the highest natural point on the island! 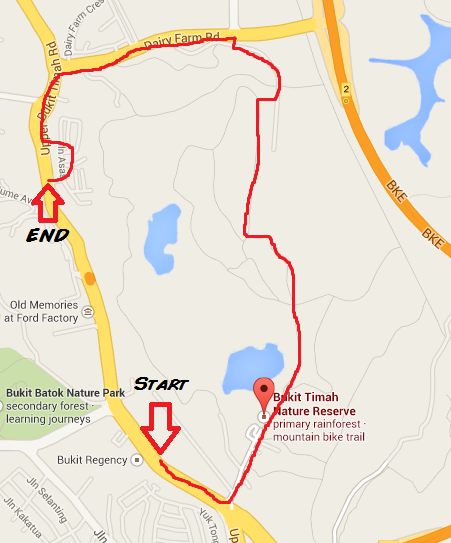 Which is also known as Bukit Timah. 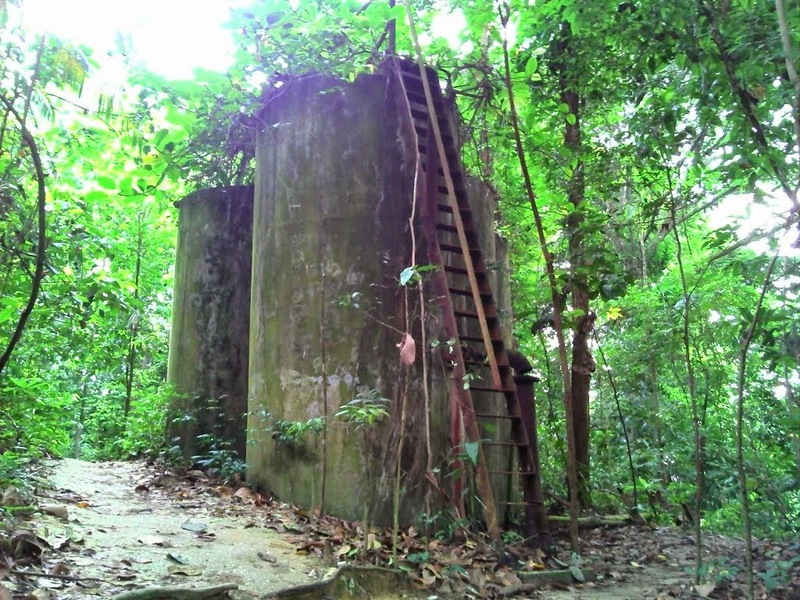 Anyways, I have always loved hiking since young, back when my dad used to bring me to Ipoh's famous Kledang Hill, where I still go to hike every time I go home. 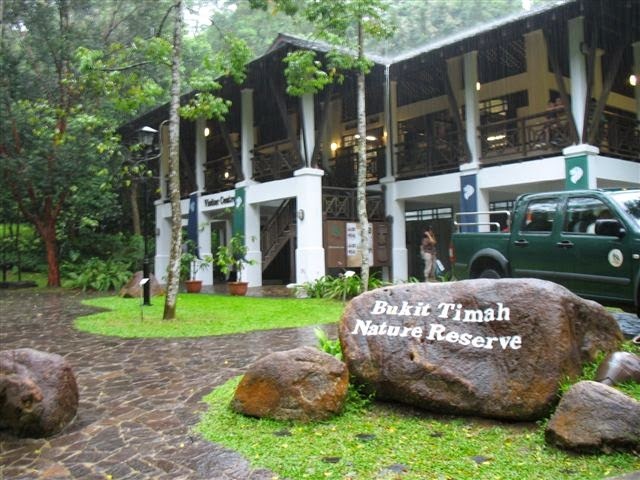 After coming to Singapore, some friends suggested that I should try hiking up Bukit Timah and see how it is. So after like a year or two after hearing it, I finally found someone who is crazy enough to try the hike up the hill with me and that became my sort of one day holiday in Singapore. Initially it was tough finding a route up the hill as the map looked utterly confusing with all the different trails meshed up together, with mountain biking trails (which are off limits to pedestrians), jogging trails and what nots. So in order to not get ourselves too confused, I chose the simplest path possible: The main path up the hill. Which in hindsight turned out to be not a really good choice. While the main path itself is relatively safe and beginner friendly, it was only a short 1.2km, which any seasonal runner or jogger can tell you is not quite much of a distance to cover. 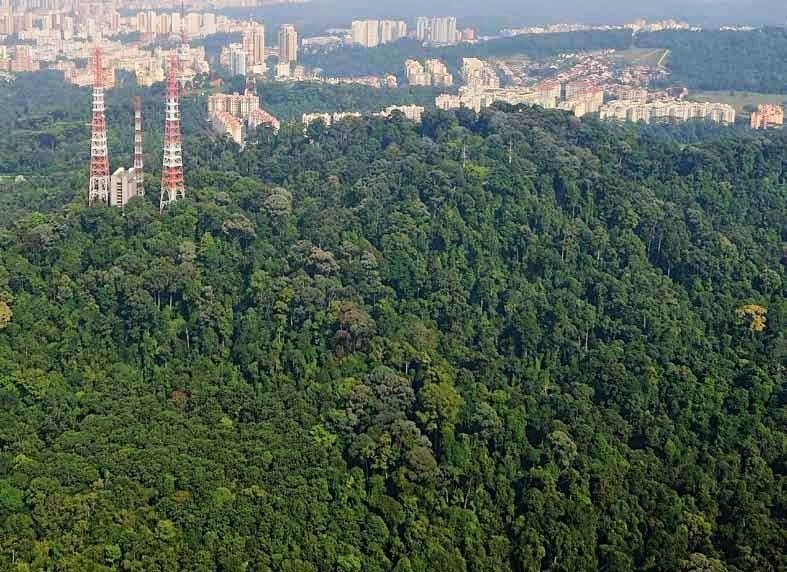 I didn't know about that prior to the hike, because I assumed that the main path usually would be quite long to accommodate newbies, but that was Kledang Hill, not Bukit Timah. We started our journey at around 5pm and reached the summit at around 5.30pm using the main path. Which was quite a fast time to achieve something in your bucket list, if you ask me. And quite a downer as well, as I did not expect the hike up to be done so fast. But yet again, I was using my Ipoh mentality. Feeling a bit unsatisfied, we ventured off the main path while descending, and chose to go down one of the many dirt trails that pepper the reserve. I forgot the name of the dirt trail that we got on already, but it connected to the Dairy Farm Loop, which connected to the Dairy Farm Park, which is kinda confusing I know, because we were equally lost as well. Somehow we just kept walking according to the path, though there were a few occasions where we started to panic because we were alone on the path, surrounded by only the nature. Our bouts of panic were usually alleviated with sights of people running up the path, which meant that we were going the right way. There were a lot of interesting sights along the path that we took as well, which added to surreality and excitement of the journey. The path was of course slightly more challenging, there were numerous instances where we needed to hold on to something, but all in all, I remembered thinking this was how hiking should be. I even avoided a durian falling next to me near the Wallace trail. Remembered it clearly as he was the dude who thought up of evolution theory nearly the same time as Darwin.